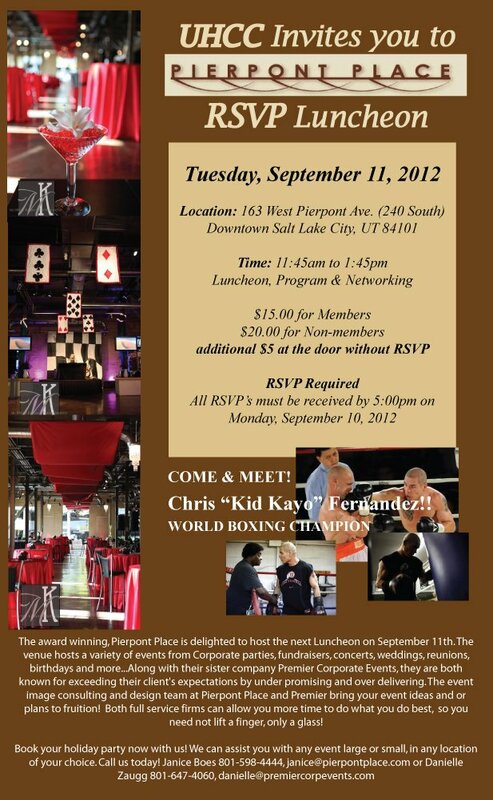 Thanks to the Utah Hispanic Chamber of Commerce! Thanks to the Utah Hispanic Chamber of Commerce for choosing Pierpont Place once again to host their monthly luncheon! Come one, come all to meet some fantastic people (AWESOME networking opportunity…hint, hint) and enjoy some great discussions and delicious food!